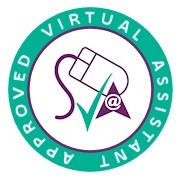 Founded by Roz Bott in 2004, Virtually Roz offers affordable, reliable Virtual Assistant services to a wide variety of different businesses, including business consultants, pr consultants and training providers. As well as everyday secretarial and administration work, Virtually Roz can also take care of lots of the other tasks that divert your attention and energy away from building your business and increasing your revenue. Find out more about the wide range of business services available from Virtually Roz. She also set up and ran her own successful business in the early 1990’s, hiring out travel cots, car seats and double buggies to clients including young mothers, hotels and other businesses. Virtually Roz brings together all these skills and experience into a Virtual Assistant service that you can rely on to get the job done – on brief, on time and on budget – leaving you to focus on getting on with what you do best: running your business. Check out our wide range of services. We treat all client and customer data with great care and we’re registered with the Information Commissioner’s Office (ICO) under the Data Protection Act (1998), registration number: Z2663019. All our activities are covered by Professional Indemnity Insurance up to £100,000 and General Liability Insurance (Public and/or Product Liability) up to £1M. 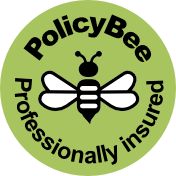 Our insurance is with Hiscox, through PolicyBee. Our policy number: 12242340. Read about us in the Nottingham Evening Post Newspaper.